It is the movie many space tech enthusiasts have been waiting for: a big-screen adaptation of Andy Weir’s book “The Martian”. Directed by Ridley Scott, the movie, like the book, promises to be a technically-accurate, action-packed story of human ingenuity and endurance on Mars. Originally set for a November 25 release, it has been moved up to October 2. So you thought Tom Hanks had it rough surviving on an uninhabited island in “Cast Away”? Try being left for dead on Mars, stranded on a barely habitable planet with a handful of potatoes and no hope for rescue within the next four years. 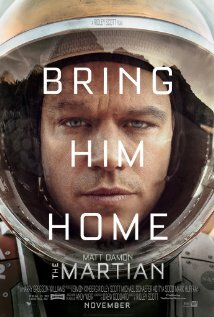 That’s what happens to astronaut Mark Watney, played by Matt Damon, during one of the first human expeditions to the Red Planet. Matt Damon as astronaut Mark Watney walks across the dusty plains of the Red Planet in 20th Century Fox’s The Martian. Image Credit: 20th Century Fox. Watney is presumed dead when the rest of his crew is forced to evacuate during a fierce dust storm. Left with no communications and little air, water or food, Watney’s slim-to-nothing chance for rescue will require that he engineer a 1,864 mile (3,000 km) trek across the planet for a potential rendezvous with the next crewed mission. Weir’s book has been praised for its realism, but there has been some disagreement as to whether the storms on Mars would carry so much destructive force in such a thin atmosphere, but it does set the stage for the rest of the story. Like the book, the movie promises to portray a technically accurate image of NASA’s future human missions to the Red Planet. The film places its protagonist in the same position as the crew in Ron Howard’s Apollo 13 or Ryan Stone in Alfonso Cuarón’s Gravity. According to Green, Ridley Scott really wanted to understand NASA’s concepts and concerns for the exploration of Mars. Dr. Green, with permission from NASA’s Public Affairs Office, was able to organize tours to give the filmmakers what they were looking for. 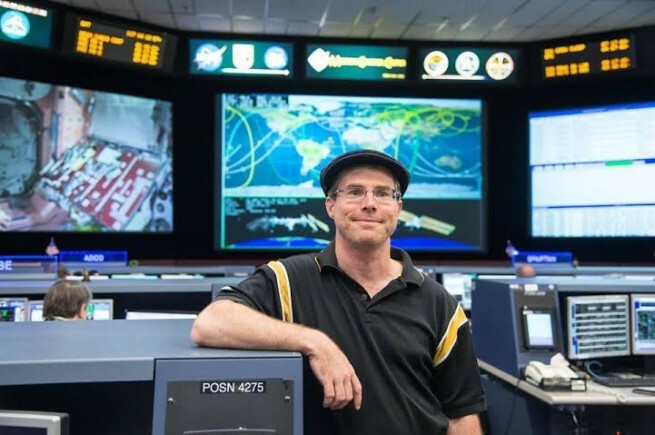 He arranged a visit to Johnson Space Center (JSC) in Texas for Arthur Max, the movie’s Production Designer. 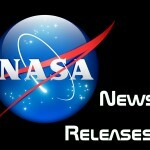 Green said NASA has been thinking hard about human missions to Mars for the past couple of decades, having reached a full half-century of robotic operations there. “We have been all over Mars for quite a while,” he said. What we’re learning about the planet with unmanned missions is crucial for enabling future human exploration. Both the novel and the space agency itself were speaking the same language in terms of the use of what is known and what is available in terms of exploring the Red Planet. “So what I really liked about the book is that it leveraged a number of the same ideas that we have been perusing. It talked about the habitats on Mars; it talked about resources that are on Mars. It talked about exploration, that humans have a variety of tools and capabilities, they have rovers that can get them around,” Green said. In The Martian, the spacecraft that is used to send the crew to Mars uses ion engines for transit between Earth and Mars, a technology NASA is now using extensively for robotic exploration. Mars is similar to Earth in many ways, it has unbelievable vistas, enormous vistas and is the likely next step for humans in our migration beyond Earth. The movie gives NASA an opportunity to say, yes, Mars is like that, it has challenges, and beauty. It allows us to begin national and international dialog about going to Mars, and what we’re really doing in comparison to the movie. This article was originally written by USA in Space for SpaceFlight Insider and was edited and published by SpaceFlight Insider. It is republished here with their permission.